Earlier this year, Giulano publicly scolded some large multinationals that claim their business models won’t need to change to meet a 2 degree scenario. “If that’s where people are actually at […] there are some real issues that need to be attacked,” he told Australian Banking and Finance. In the face of these comments, one shareholder at the AGM highlighted that billions of dollars’ worth of MFG’s asset holdings are directly exposed to some of the highest carbon intensive sectors such as energy, industrial and utilities. Despite exposure to these sectors, and with a total of AUD$69 billion under management, MFG states in its own 2018 annual report that climate-related risk “is not material to Magellan’s operations”. Given that the Australian Prudential Regulation Authority (APRA), has indicated that climate risk is material, Magellan’s seems to be at odds with lawmakers. 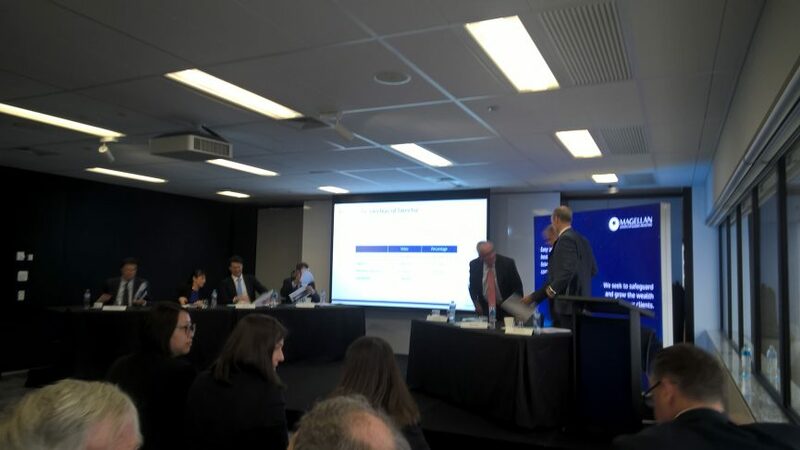 CEO Hamish Douglas today told shareholders that whilst their AUD$1.5 billion Magellan Infrastructure Fund in particular is heavily exposed to highly carbon-intensive sectors, the company is confident of its position because of relatively low carbon investments across other funds. That’s probably not much comfort to the investors in the Infrastructure Fund! Magellan is failing to recognize the material risks associated with financial exposure to carbon intensive industries, thereby doing itself and its shareholders a disservice. It’s sensible that MFG considers and is willing to publicly discuss climate risk. The company now needs to hold up its own business to the standards that it sets for others by quantifying the material risks to its business posed by climate change. Magellan and other companies need to do more to manage climate risk. Click here to call on your superfund to enforce climate risk management.